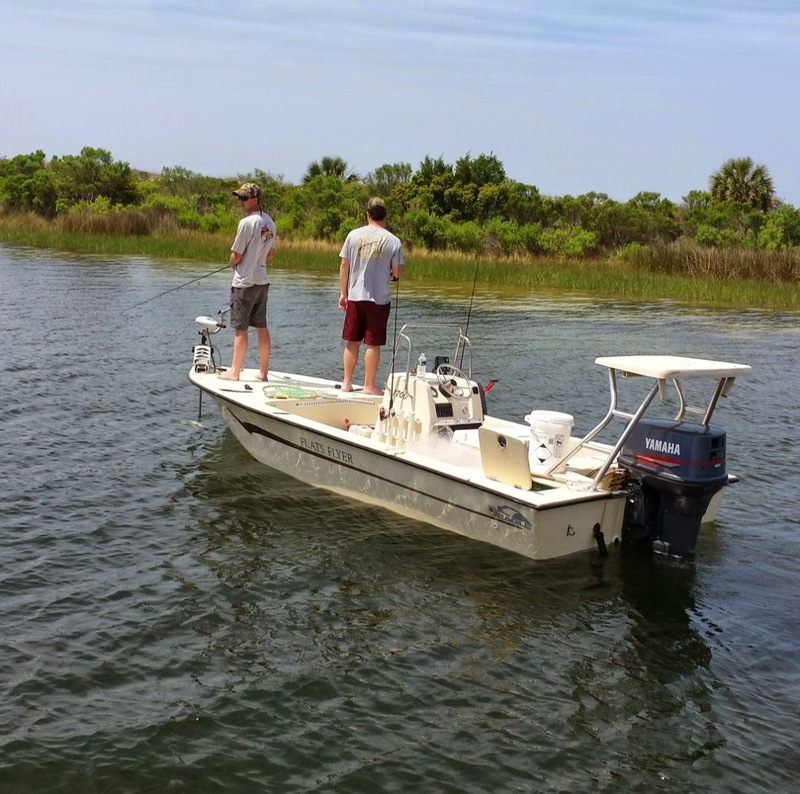 The United States Islands Awards Program, USI, covers saltwater and inland fresh water river or lake islands of the fifty (50) states of the United States and U.S Territories or Protectorates. 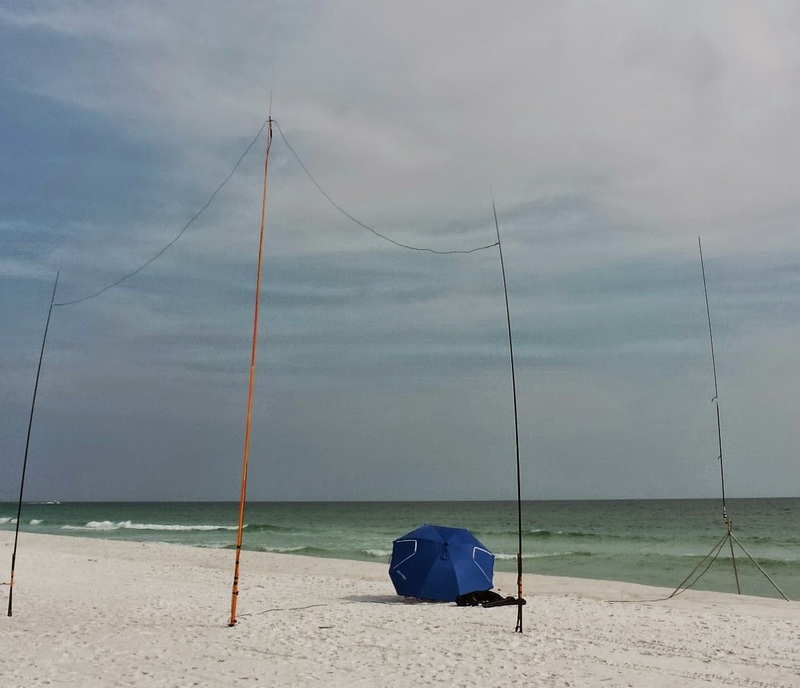 USI was formed to further enhance "island chasing" that has become so popular on the amateur radio bands. That said, US Islands had a One Day Getaway event on May 9th. 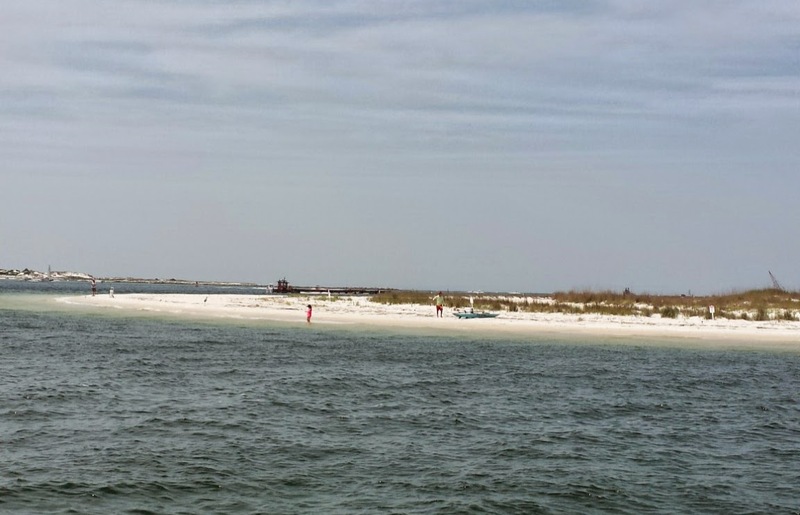 With a little checking Shell Island near Panama City has been activated previously and has the designation FL401S. Shell Island is uninhabited and is not accessible by car. 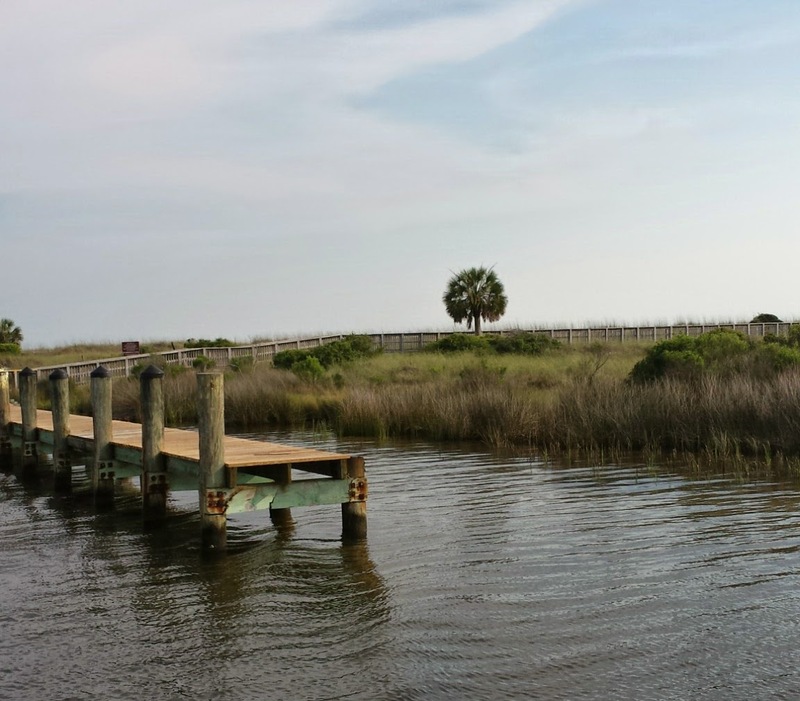 However, it is popular with boaters and sun seekers. 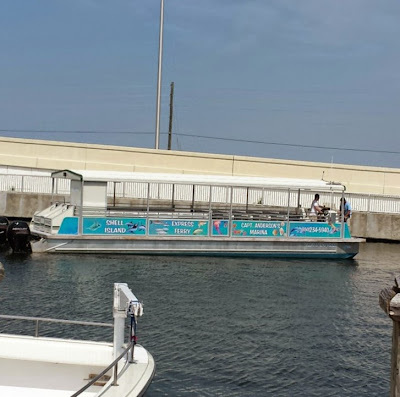 If you don't have a boat you can go over on a Shuttle boat like I did. I always wanted to operate RaDAR on the island and the USI Getaway was the impetus to make it happen. 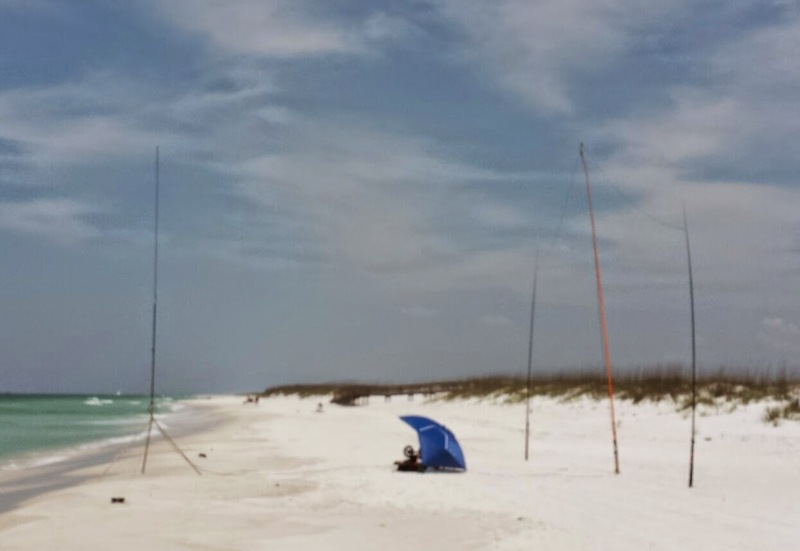 The good news for RaDAR ops is the skills and equipment are very helpful for other programs such as Islands, SOTA and Field day. Island operating can make you appreciate a DX expedition. There is no infrastructure on the island no shelter, no snack bars and no rest rooms. What you bring is what you have. I did lots of looking at the island on Google Maps and saw several places that would give me a shot over saltwater on the North bayside. However with only about five hours on the island, I could not do much walking as the two way trip would eat into the operating time. In short, I set up on the beach on the Gulf side which has a view to the South. I find no matter how much research you do it does not replace being on the site. I took quite a bit of gear but it worked out for a short walk. I got good use of my beach cart that doubles as a table and my Sportsbrella. For antennas, I chose a dipole for 20 meters since that was going to be the main band. I used a 31 foot pole for the center and 20 foot poles for the end. 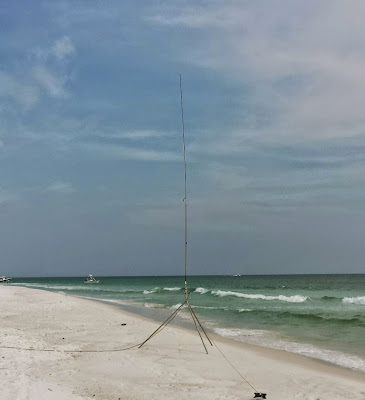 If you have to count on an antenna no one can doubt you for picking a dipole. To cover the other bands I picked the Chameleon Hybrid Micro with the whip. Being a vertical, it should get some saltwater effect on the beach and it is easy to change bands. 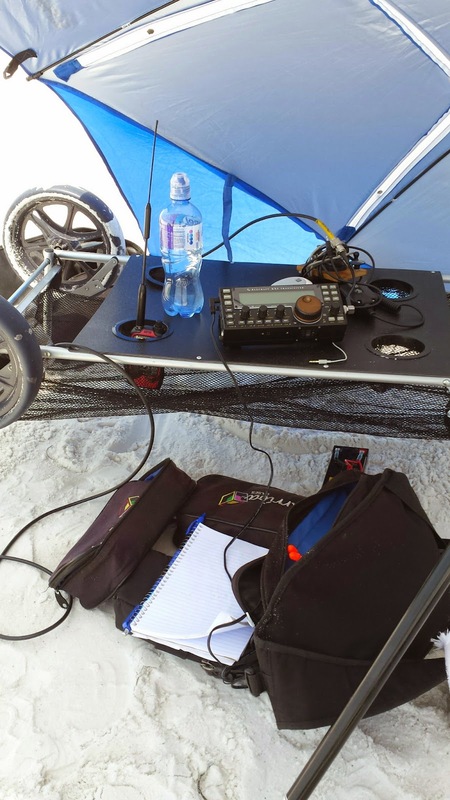 My rig was the Elecraft KX3 with a 10 amp-hour LiFePO4 battery. The Sportsbrella. Glad I had it. The beach cart doubles as a table. The contacts went well. I had a run of 16 contacts on 14.262 right off the bat. That was sweet. The chasers were glad to have Shell Island represented. Over the day I worked five other US Islands. Two of my contacts were fellow RaDAR Ops Ron W2RON in Vermont and Mickey NY2MC in New York. They were out portable also. When things slacked off, I checked the other bands on the vertical. I got Barbatos Island and Russia on 15 meters SSB. 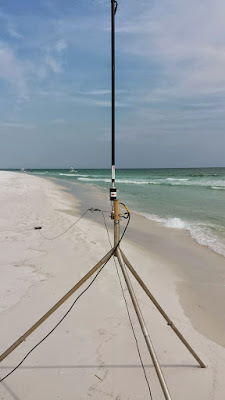 I tried 40 meters SSB on the vertical I snagged Peachtree City, Georgia which made me happy. I also got K4GXV and WB4BLX in Panama City on 40. I threw in three SKCC stations on 20 CW. 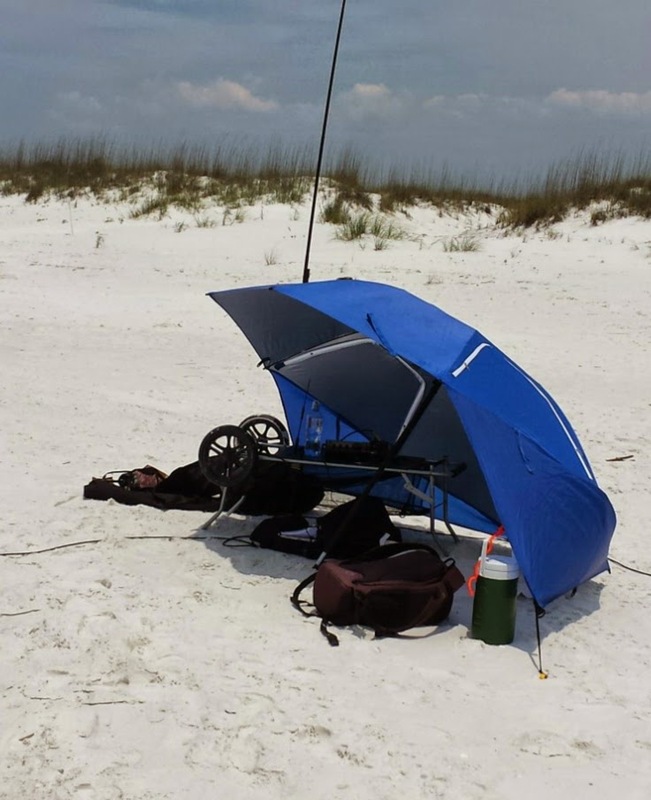 My last contact was on 20 meters SSB with KE5RS on Goose Island TX using the vertical. So I had 32 contacts over about three and a half hours. That is respectable for 10 watts I'd say. A close up of the vertical. So US Islands can be in my mix of operations. I think it is a great program. There are several islands within a few hours drive from Panama City. Likewise, I am a Shell Island veteran now and can include it in some future RaDAR adventures. 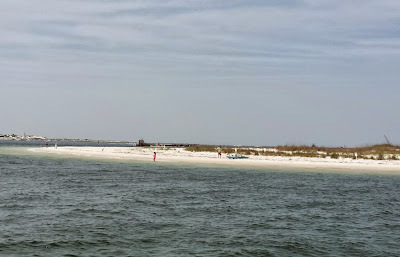 A view of Sandy Point in St Andrews State Park from the water. This is a favorite RaDAR stop for me. The shuttle I took to the island.